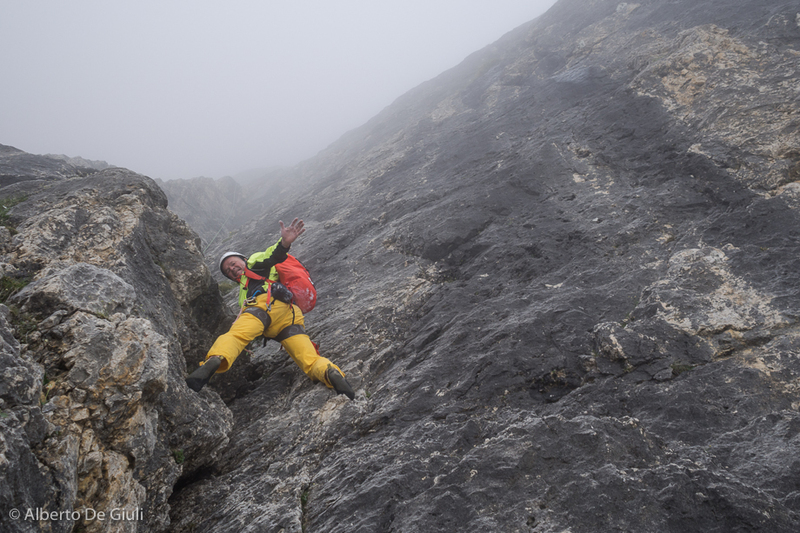 WHEN: from late May to the end of November. 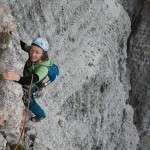 COST: starting from 350€/day with one person. 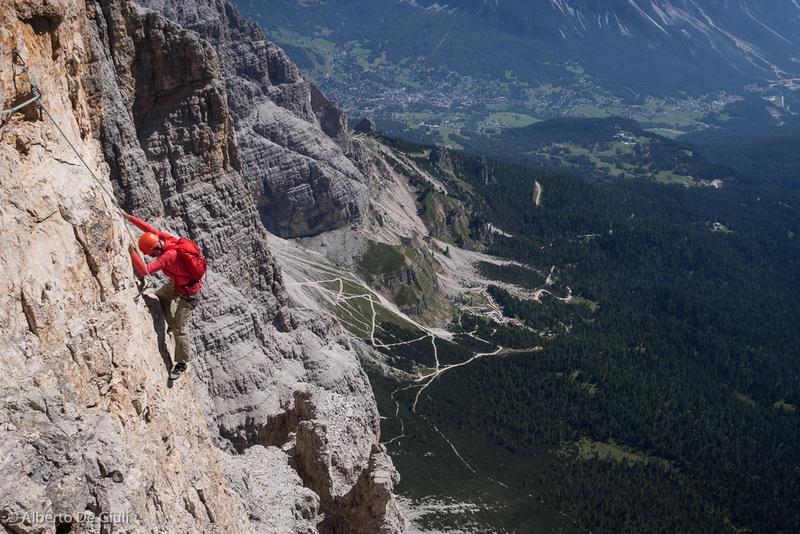 The Dolomites feature the perfect playground for rock climbing, no matter if it’s a single pitch or a classic hard multipitch route. 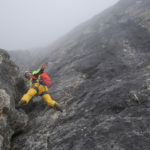 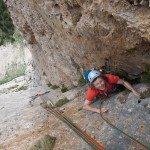 These mountains have challenges for all kind of climbers, from very beginners up to the strongest diehard ones. 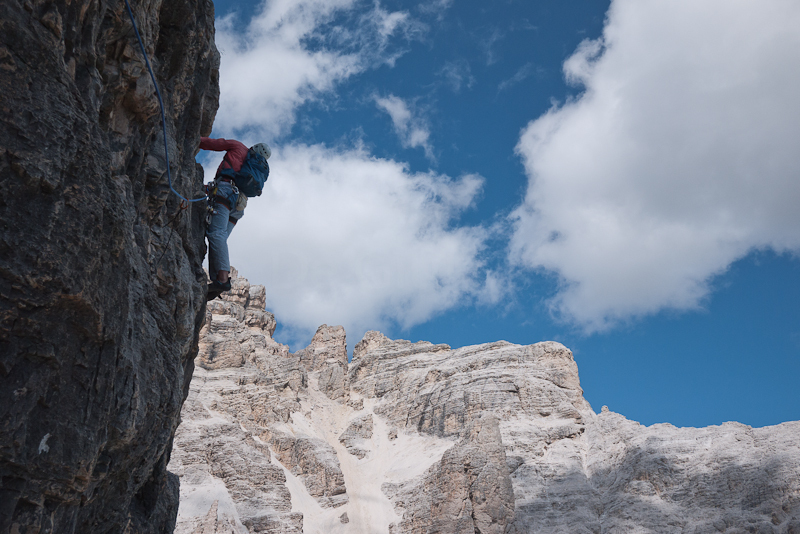 If you’re planning to come climbing here, generally the best period goes from end of May all the way to November, weather and sun permitting. 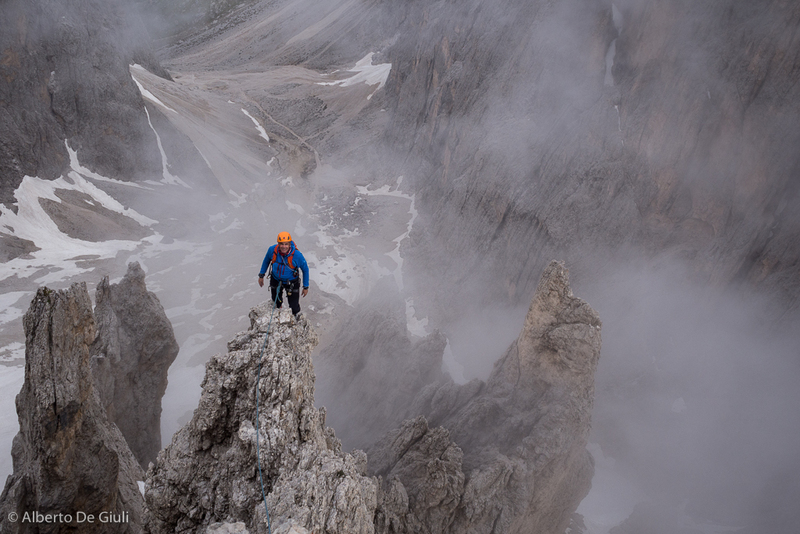 My favourite time of the year for climbing in the Dolomites, beside the classic summer season, is September and October, when the days are still beautiful, weather is generally stable and the colors is the mountains are just fantastic. 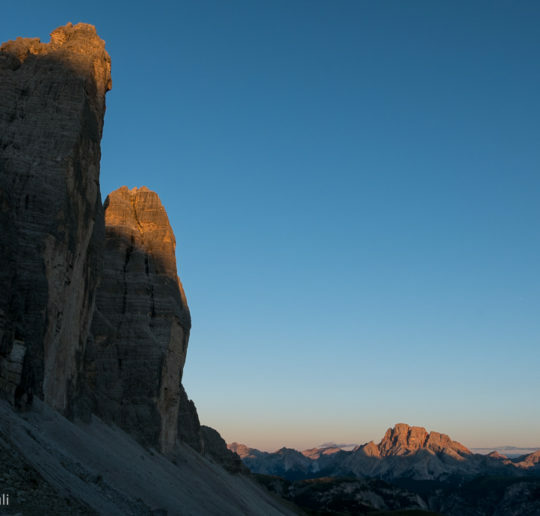 I’m happy to guide you not only around Cortina d’Ampezzo (Tre Cime di Lavaredo, Punta Fiames, Cinque Torri, Falzarego Towers are the most classic spots), I know very well the are around Alta Badia as well (Sas Ciampac, Punta Clark, Sas dla Luesa…), Sella Pass (Piz Ciavazes, Sella Towers, Sassolungo and Cinque Dita), and Catinaccio in Fassa Valley (Vajolet Towers are the icons of the mountain range). 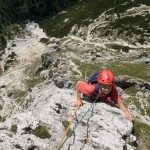 If you don’t have already a list of route you want to climb, I will be happy to recommend you those climbing routes that fits you and your skills. 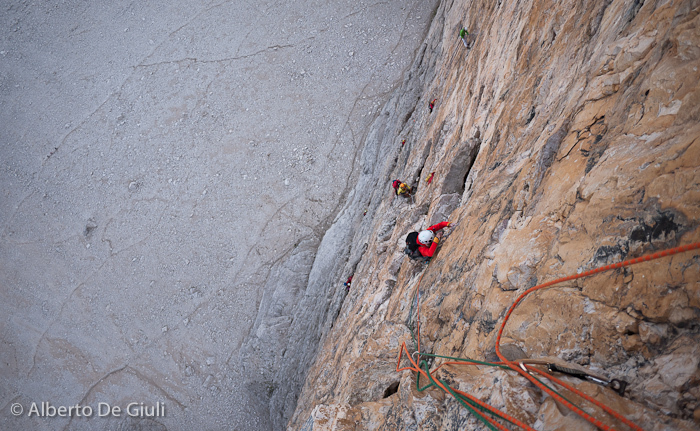 Contact me for further informations! 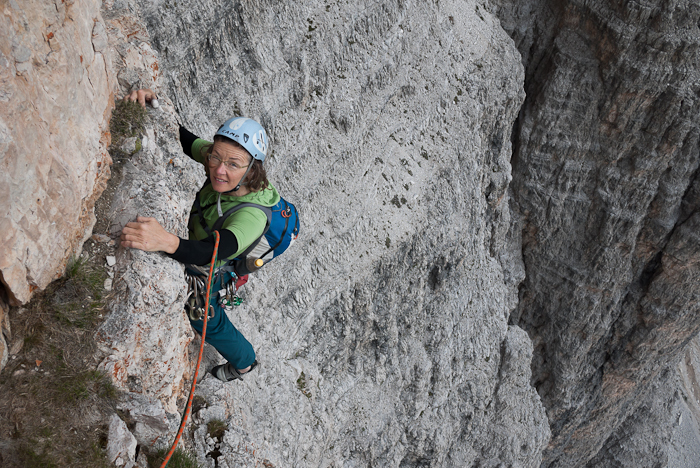 Climbing the Dimai route on Punta Fiames (5.6 / IV), Cortina d’Ampezzo. 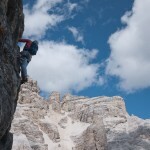 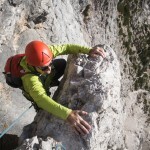 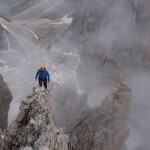 Climbing the classic South Arete of Falzarego Tower (5.5 / IV), Falzarego Pass, Cortina d’Ampezzo. 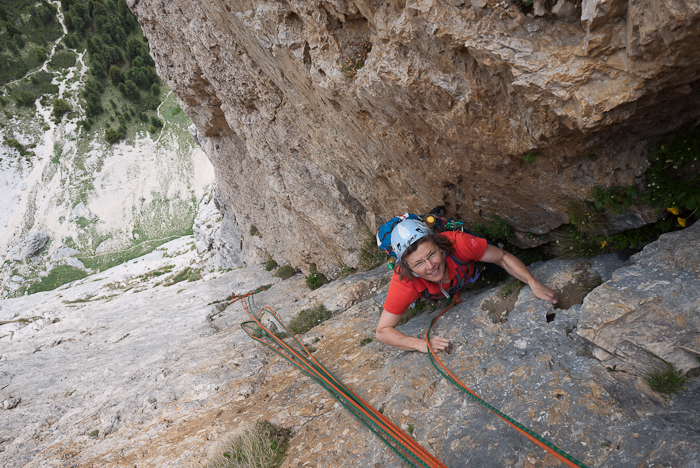 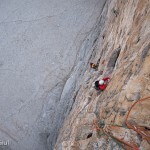 Climbing the Adang route on Sas Ciampac ( 5.8 / V-) , Alta Badia. 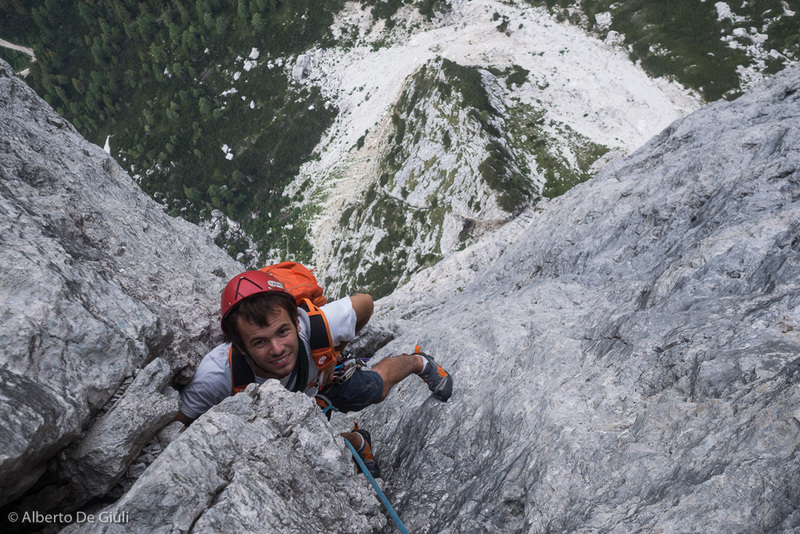 Climbing the beautiful Andrich route on Torre Venezia (5.9-5.10 / V+ VI max). 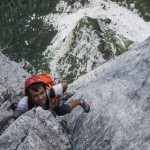 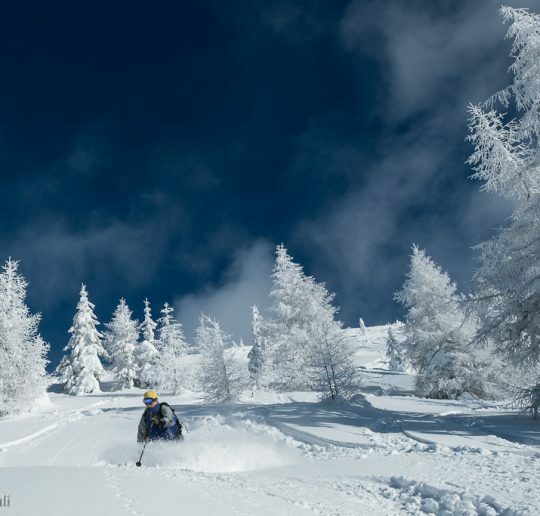 Civetta mountain range. 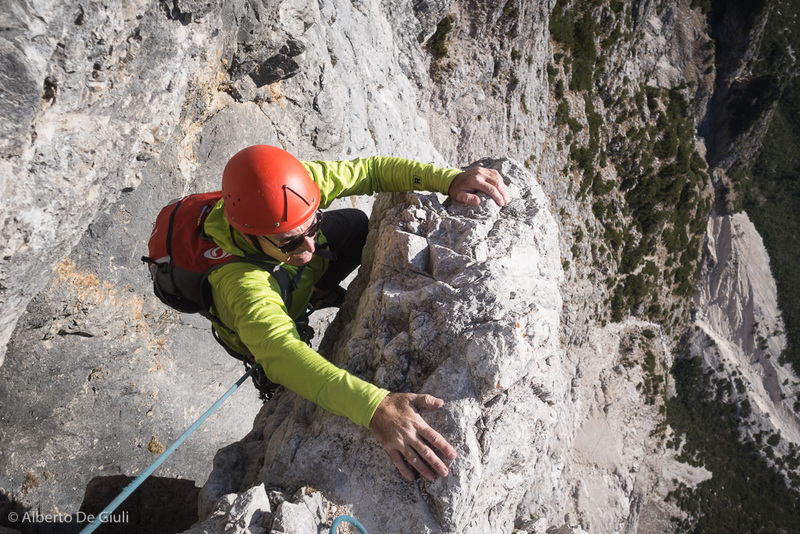 Climbing the First Pillar of Tofana di Rozes, South Arete (5.8 / V max), Cortina d’Ampezzo. 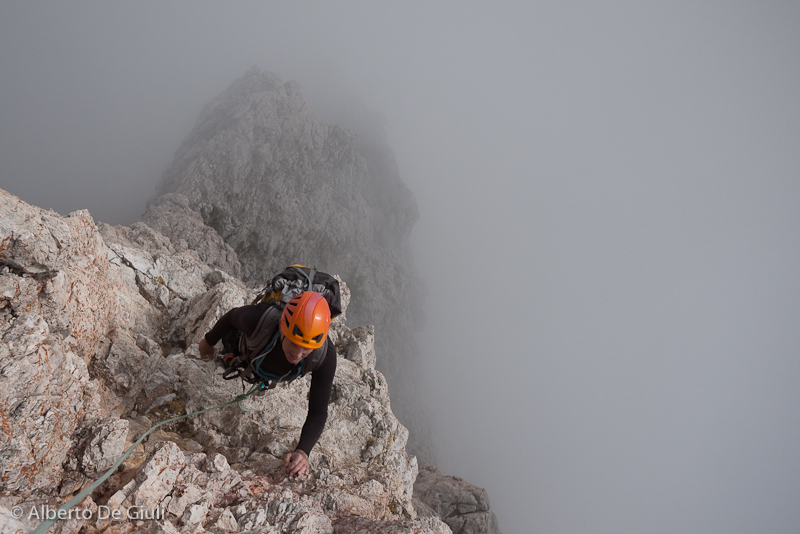 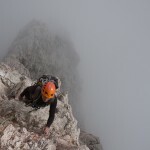 Climbing the Grande Fermeda South Arete (5.6 / IV), Val Gardena.